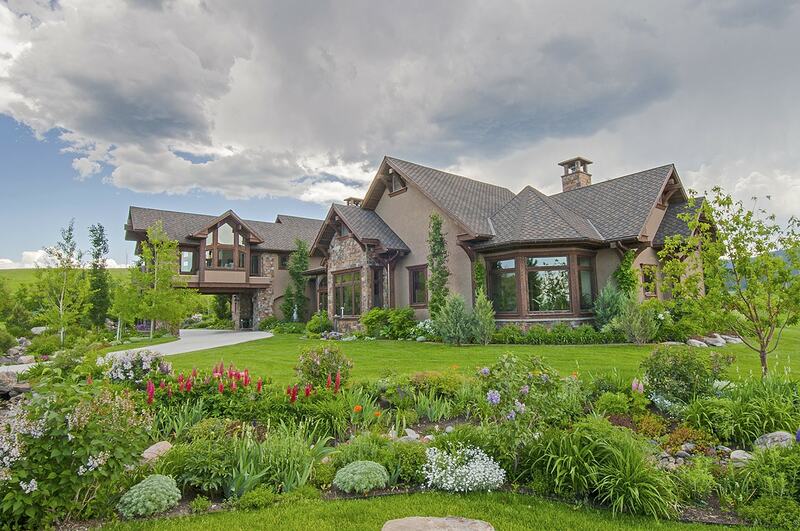 Home » Bozeman Montana Real Estate Blog » Tidbits » There’s no place like…the office. There’s no place like…the office. When architect Van Bryan and I were designing my home back in 2006, my office was of utmost concern. I wanted the feeling of being in a tree house. I work best uninterrupted by people while being able to enjoy nature. I love to gaze into the distance and watch clouds assemble into shapes of mythological creatures or sand hill cranes wing across the skies while squawking a prehistoric tune. The play of light and sun on the Bridger mountains delights me any time of day, but especially at sunset when the reflected colors deepen into vibrant jewels. I work odd hours. The evening stars keep me company many a night when I work on a client brochure. I cycle in and out of my office at will without anyone raising their eyebrows or questioning what I am doing. Most of all, though, is the fact that my home office is home. Van Bryan designed the space exactly right for me and my methodology of work. I am at ease in my office, incredibly productive, and continually happy with the environment. It is, to me, perfection. Here then, is what I consider to be the ideal work space for me. Comments Off on There’s no place like…the office.